Laurence Mulaudzi, a business man from Kilimanjaro Capital with links to the Public Investment Corporation (PIC) continued to get funding from the corporation despite having a risk profile. The judicial commission into the PIC has heard that Malaudzi submitted proposals to get funding of R1.7 billion Rands for the acquisition of shares from TOSACO as part of his Total SA BEE deal. During the same period he submitted another proposal for funding of R600 million for Shikara Health. However, the PIC didn’t question the overlapping requests. 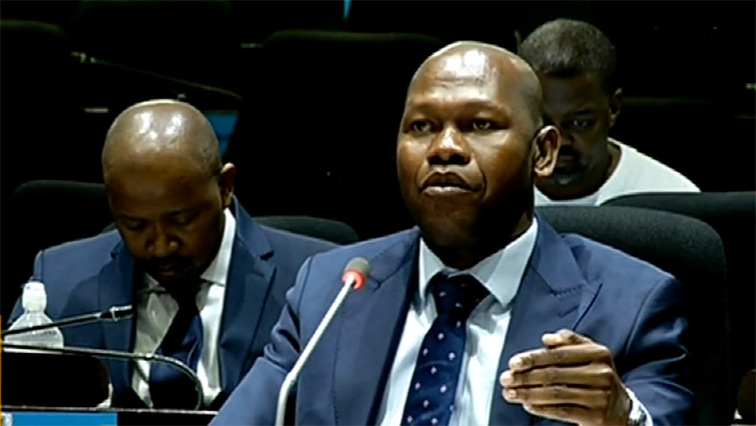 An anonymous whistleblower alleged that Mulaudzi’s relationship with non-executive PIC board member, Sibusisiwe Zulu had helped him to clinch deals with the PIC. Mulaudzi is testifying before the commission to try and clear his name. Mulaudzi took the stand at the PIC Commission of Inquiry telling of a painful decision the company had to make to partner with Sakhumnotho on a BEE transaction at the insistence of the PIC. Kilimanjaro Capital came across an opportunity to invest in Total South Africa and approached the PIC for funding. Mulaudzi says they went through months of grueling due diligence and hard work to meet the requirements of the deal. The PIC had signed a binding engagement letter with Kilimanjaro capital, which would hold them liable to pay the PIC 1.5% of the funding amount – should the deal not go through. Mulaudzi says at the eleventh hour, the PIC told them to partner with another company Sakhumnotho on the deal. He likened this to having had a gun held to their heads to accept working with this company or else they would be owing the PIC 15% of the funding amount – should they have walked away from the deal. Sakhumnotho was then given 50% of the transaction. The PIC also funded deals linked to Mulaudzi in Ascendis health and Bounty. Mulaudzi says he was approached by former CEO Dan Matjila with a request to help Pretty Louw, a woman that was alleged to be Matjila’s girlfriend. Louw owned a beauty salon and spa and her business was in financial trouble. Mulaudzi gave Louw R300 thousand rands and says he did no see this as a loan, but was merely assisting. Mulaudzi confirmed he’s involved in a love relationship with PIC Board member, Sibusisiwe Zulu. He however refutes allegations that this had any influence on his business relations with the PIC. He says his transactions funded by the PIC happened way before he became lovers with Zulu. The post Mulaudzi reveals shocking deals made with PIC appeared first on SABC News – Breaking news, special reports, world, business, sport coverage of all South African current events. Africa's news leader..